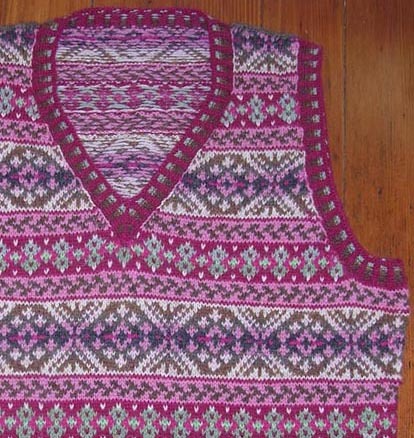 Eagle-eyed knitters at my workshops have noticed that my Redbud Vest differs slightly from the published version: it has a different color progression in the armbands and neckband. And some of them requested a pattern for the original bands. As always, your wish is my command! You can download an addendum to the pattern for free by clicking on this link.